I discovered this invasive plant in our yard last spring. It was growing under a gray dogwood colony in the lower part of our yard in shade. I was going to wait until it flowered to determine what it was, but fortunately a City of Minnetonka Natural Resources Staff Member helped me identify it before it flowered. 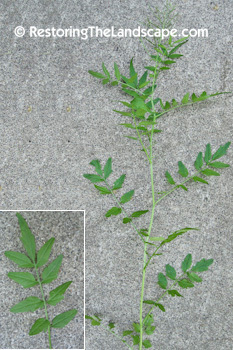 This plant typically behaves like a biennial, with the first year rosettes forming (pictured in the first photo). It then bolts the following year, flowers then sets seed. There are some accounts that it can flower in the first year so it is also treated as an annual. The flowers are very tiny, white and 4 petaled but often so insignificant it can be hard to see any developed petals. The flower stalk can reach up to 30" in height, in our poorer soil the stalks only get about 12" in height. 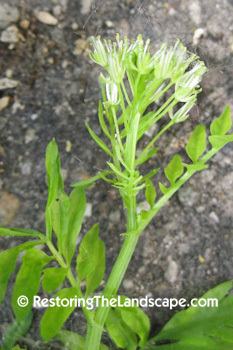 The rosette leaflets are more lobed and rounded but on the flower stalk the leaflets are more elongate and smooth. 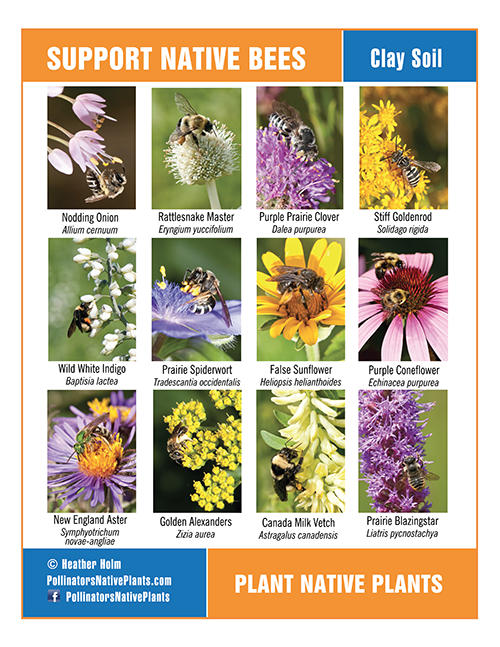 This year in Central Minnesota, it started to flower in the third week of May. Seed pods were already forming by the end of May on some plants. The seed pods are the most terrifying part of this invasive plant. 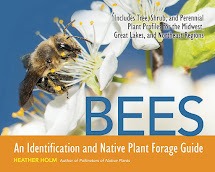 The long pods called silques hold a lot of seed per pod, "a single plant can produce up to 5500 seeds" (Minnesota Dept. Agriculture). I reached to pull a flower stalk over my fence in my neighbor's yard and was sprayed with seeds. The pods dry and split and twist open ejecting the seeds a significant distance from the parent plant. 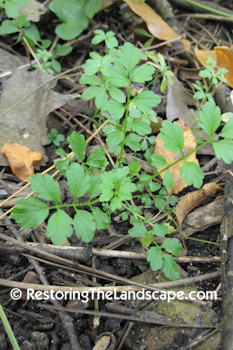 If you are looking for this invasive in your own shaded areas, the seed pod shape and formation somewhat resembles that of Garlic Mustard (both are types of Mustards). 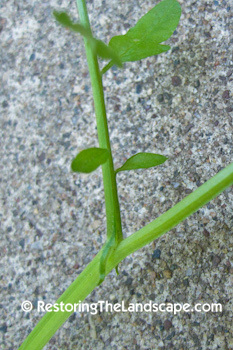 Another distinguishing feature to look for identification is the spot where the leaf stalk joins the stem. 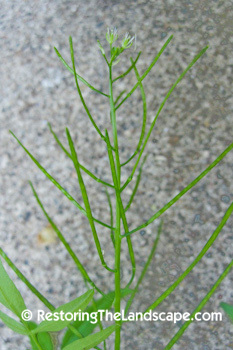 There are two narrow leaf stalk extensions that "straddle" the flower stem called auricles. 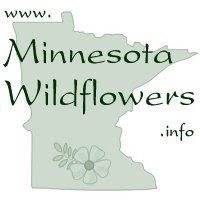 If you have seen Narrowleaf Bittercress in Minnesota, report where you found it on the Minnesota Wildflowers website.